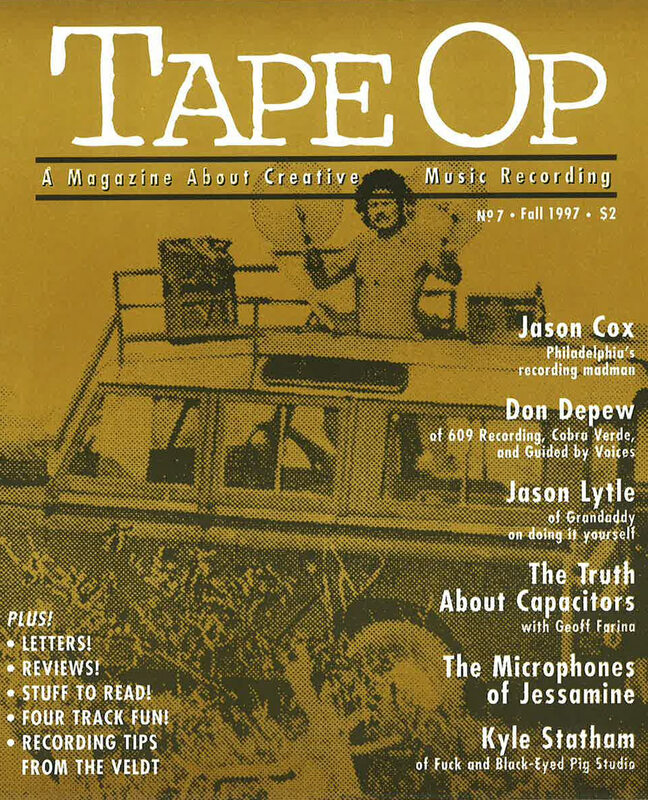 Read Tape Op #7 | Tape Op Magazine | Longform candid interviews with music producers and audio engineers covering mixing, mastering, recording and music production. 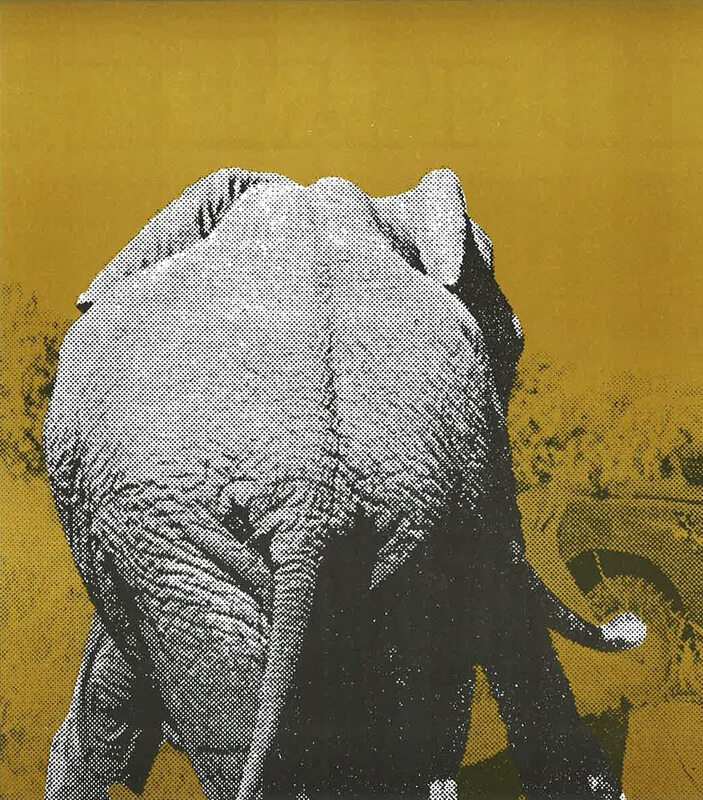 Welcome to issue #7 of Tape Op. My studio (Jackpot!) is right next to another recording studio (Rex). It's kinda funny that it should be this way, but we share the same landlord, who was the only person that seemed to be remotely sympathetic to our idea of running a studio out of his building. Anyway, this studio next door has a ton of gear, nice engineers, and mostly what they do is make ads. I was sitting in their #1 control room one night, editing some stuff on their ProTools setup since I don't have a single computer in my place, and the engineer told me they charge $120 per hour for the room during the day. Then he told me that they had been trying to get into a new building, closer to downtown, so they could have a fancier place and charge more. And the scary thing was, even though they charge almost 6 times as much per hour as I do they still had no money to work with. It kind of put my desperate financial situation in perspective! The other day we were tracking some real loud bass overdubs on a weekday with John from the Maroons. I like to get a good amp sound, and mic it up with a D112 and a 57. Needless to say, you can't do that at low levels. I found out later that Cindy Williams (of Laverne and Shirley) was tracking vocals for a talking book next door and we had kind of disrupted the session. Ooops! Sorry. So it seems that people like the new look of Tape Op. The print job sure looks a lot better to me than photocopying, and not having to collate and staple 1000 issues is a godsend. We got a bunch of new distributors, something I'd been neglecting to work on, and now I've just got to get some of the older ones to pay up. It seems that the mag just about breaks even at this point and I can't tell you how glad I am! We have a website now! Even though I hate the internet (except for e-mail) it's nice to have a place people can look up info on the studio and Tape Op. There's little color pictures of all the back issues that look so cute. Bob Toevs and Rob Christensen (not of Eggs) have taken on the tasks of reviewing 7" singles and cassettes, respectively. I thank them for taking the burden off of me. Feel free to send your home-recorded tapes to us now, but realize that if there's no semblance of real packaging (like an insert and printed label) or a return address on the cassette somewhere we may just bag it. And I already warned Rob that I won't run every review he sends me! I'm just that way. Okay. Enjoy Tape Op number 7. It looks like #8 will have some big articles on Don Dixon and Studio .45. Look out! Also, if anyone reads a review of Tape Op anywhere could you drop me a copy? I never seem to see any but I hear about them sometimes. Anyway, thanks for reading. I love you all!